A black and white living space is simple, chic and contemporary. 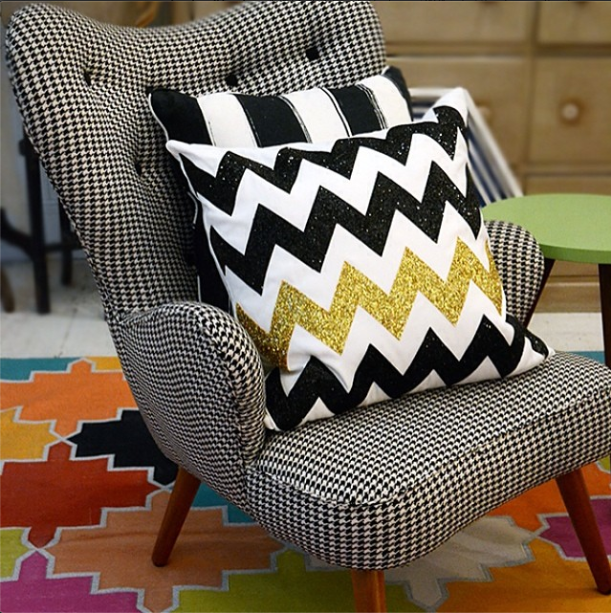 This cushion by Bitten with chevron embellishment illustrates a way to encourage a mix of texture and design through cushions, rugs and home accessories. Keep it simple and clean to make this trend work in your home.